The statute of limitations on a claim against a performance-type bond is 5 years from the breach of the bond, i.e., the bond-principal’s default (based on the same statute of limitations that governs written contracts / obligations). See Fla. Stat. s. 95.11(2)(b). This 5-year statute of limitations is NOT extended and does NOT commence when the surety denies the claim. It commences upon the default of the bond-principal, which would be the act constituting the breach of the bond. This does not mean that the statute of limitations starts when a latent defect is discovered. This is not the case. In dealing with a completed project, the five-year statute of limitations would run when the obligee (beneficiary of the bond) accepted the work. See Federal Insurance Co. v. Southwest Florida Retirement Center, Inc., 707 So.2d 1119, 1121-22 (Fla. 1998). This 5-year statute of limitations on performance-type surety bonds has recently been explained by the Second District in Lexicon Ins. Co. v. City of Cape Coral, Florida, 42 Fla. L. Weekly D2521a (Fla. 2d DCA 2017), a case where a developer planned on developing a single-family subdivision. NOW, THEREFORE, THE CONDITION OF THIS OBLIGATION IS SUCH, that if the said Principal [DEVELOPER] shall construct, or have constructed, the improvements herein described, and shall save the Obligee [CITY] harmless from any loss, cost or damage by reason of its failure to complete said work, then this obligation shall be null and void, otherwise to remain in full force and effect, and the Surety, upon receipt of a resolution of the Obligee indicating that the improvements have not been installed or completed, will complete the improvements or pay to the Obligee such amount up to the Principal amount of this bond which will allow the Obligee to complete the improvements. In March 2007, construction of the subdivision improvements ceased due to nonpayment by the developer. In 2010, the City contacted the developer’s surety claiming it wants to have the outstanding subdivision work completed. The surety sent a letter to the City requesting information so that it could review the City’s claim. The City did not provide the requested information because the City was considering selling the project. In 2012, a buyer purchased the project from the City for $6.2 Million. In 2012, the City sued the surety bonds and assigned its claim to the new buyer. The surety argued that the five-year statute of limitations expired on the surety bonds before the City filed suit in 2012. The trial court rejected this argument and after a bench trial judgment was entered against the surety. On appeal, Second District reversed the trial court’s judgment against the surety and remanded for the trial court to enter judgment in favor of the surety holding that the claims against the surety bond are barred as a matter of law by the 5-year statute of limitations. The surety bond here, no different than a performance bond, required the developer (bond principal) to construct and complete the subdivision improvements. When the developer failed to do so (defaulted under the bond), the City’s rights under the bond accrued. Here, construction ceased in 2007; thus, the City’s rights against the bond accrued in 2007 when the developer stopped the development of the subdivision improvements. The surety bonds the developer provided the City are analogous to obligations in a performance bond. These are analogous to performance-based obligations in a warranty bond. These surety bonds with performance based obligations will be governed by the five-year statute of limitations governing written contracts / obligations. The statute of limitations will accrue when the bond-principal defaults and otherwise breaches the terms of the bond. 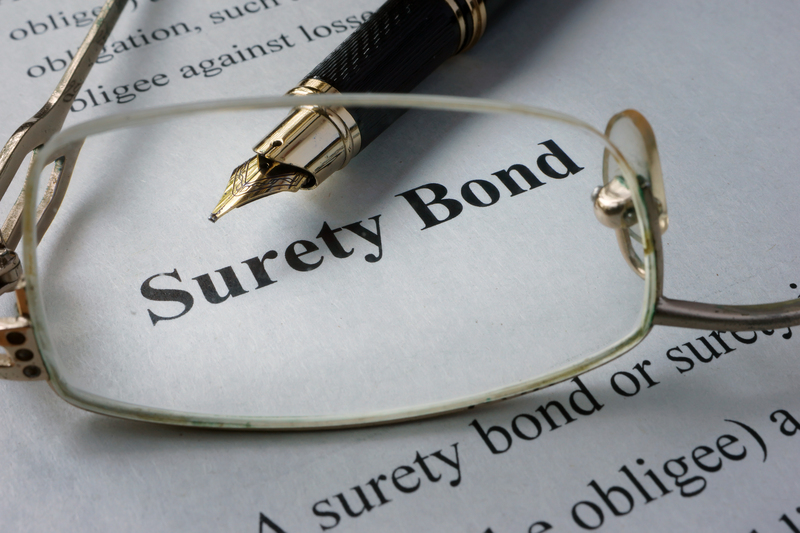 If you are dealing with issues relating to a performance-type surety bond, it is important that you consult with counsel to make sure your rights are preserved. There are many considerations with the statute of limitations being one of those considerations. Consider this example: An appraiser negligently appraises a $100,000 house at $150,000. A buyer reasonably relies on that negligent appraisal and buys the $100,000 house for $150,000. The buyer’s damages ($50,000) are easily determined immediately after the sale. 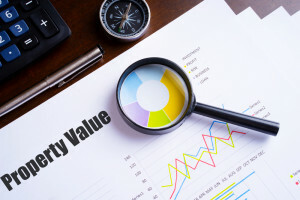 Those damages would be the same whether the buyer promptly sold the home at a loss, lived in it forever, or sold it for $200,000 after decades of market appreciation. Llano Financing Group, supra, n. 3. If you feel like you suffered a loss at the hands of a negligent appraisal, make sure you consult counsel. Based on the court’s decision in this case, the lender’s statute of limitations expired. Make sure this does not happen to you. If you are an owner experiencing construction defects or corresponding damage (e.g., water intrusion) please consult with counsel. Not doing so can result in your lawsuit being forever time-barred by the statute of limitations! Do NOT let this happen to you; this means that any valid claims you may have associated with the construction defects or corresponding damage are gone. The statute of limitations for construction disputes including construction defect disputes is embodied in Florida Statute s. 95.11(3)(c), set forth at the bottom of this posting. Please check out this article and this article for more information on the statute of limitations for construction defects. For example, in Brock v. Garner Window & Door Sales, Inc., 2016 WL 830452 (Fla. 5th DCA 2016), homeowners experienced water intrusion from their windows and sued the company that installed the windows. 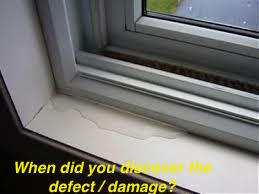 The problem, however, was that the homeowners sued the window installer more than four years after the homeowners discovered the defect (the statute of limitations in s. 95.11(3)(c) as set forth below) but less than five years after the discovery of the defect. The homeowners tried to creatively argue that the five-year statute of limitations governing written contracts should control because the window installer was not a licensed contractor and should not reap the benefit of the shorter four-year statute of limitations. The Fifth District rejected this argument. Regardless of whether your claims are against a licensed or unlicensed contractor, the four-year statute of limitations in s. 95.11(3)(c) is going to control your construction defect lawsuit. In the case above, the homeowners waited more than four years after discovering the water intrusion to sue their window installer. As a result, their counsel had to come up with an argument to try to circumvent the four-year statute of limitations. Unfortunately, the argument was not successful and the homeowners potentially valid claims were time-barred. Clearly, this is a situation you want to avoid so that you are not having to defend your valid claims with a statute of limitations defense. If you are a subcontractor, sub-subcontractor, or supplier on a federal construction project, please make sure to preserve your Miller Act payment bond rights. This includes filing suit in a federal district court against the payment bond surety. The Eleventh Circuit’s ruling in Thomas v. Burkhardt, 2016 WL 143351 (11th Cir. 2016) illustrates what can happen if you do not properly pursue your Miller Act payment bond rights. [T]he doctrine of estoppel against the surety rests on the principle that a surety with knowledge of a suit against the principal has a “full opportunity to defend” the suit and to protect its rights. But there is no such equitable principle at work here. The surety cannot protect its rights by joining in the defense of the suit. It cannot intervene as defendant any more than it could be named as defendant in the first place. Thomas, supra, at *3 quoting U.S. Fid. & Guar. Co. v. Hendry Corp., 391 F.2d 13, 17 (5th Cir. 1968). 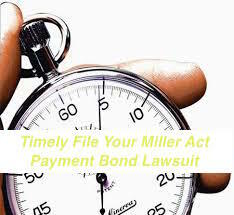 The morale is to timely file your Miller Act payment bond claim against the payment bond surety. There is no reason not to!